We experience tremendous change when we spend time in another culture or country, and people will often talk about ‘culture shock’ and how to overcome this upon arrival. 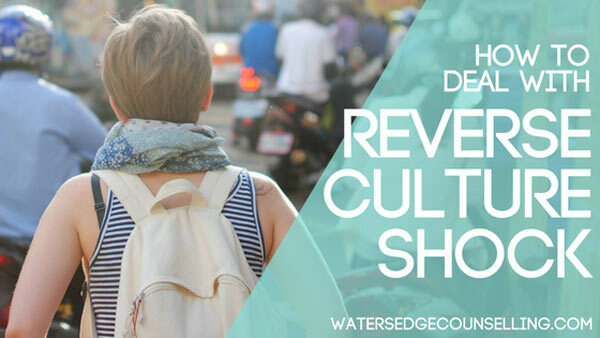 However, fewer people talk about reverse culture shock. This phenomenon occurs when you return home after spending a prolonged period of time in another culture. It can take weeks, months or, for some people, years to grapple with as they feel disoriented, displaced and isolated. I know the highs and lows of reverse culture shock well, and have struggled to make sense of my changing values, emotions and depression once I have returned home after living abroad. Even with a supportive community around you during this transition it can be difficult, so here are seven things to remember if you are trying to find fit in at home again. Before I experienced reverse culture shock, I had no idea people experienced such difficulties when they returned home. The shock of these numbing and confusing feelings can perpetuate your sense of isolation, depression and cynicism towards your home environment. If you are experiencing reverse culture shock, know you’re not alone. The people around you may not understand fully because they didn’t share the experience with you, but that doesn’t mean your feelings are illegitimate. The physical environment we live in impacts our body, and you will hold this tension and change physically as you come to grips with your transition. Change in weather, seasons, the food you eat and even your day-to-day routine may impact your skin, your circulation, your gut, muscle tension and over-all health. Be patient with your body and don’t expect it to be 100% straight after you return home. If you have ongoing symptoms that concern you, see your doctor. Reverse culture shock creates feelings of restlessness, frustration and being bored. Throw in the fact you’re likely missing the place you just left, and it’s a recipe for depression. If you are experiencing this, distract yourself. Start a new project, create something with your hands, write, colour, exercise or spend time with friends. After awhile you will pinpoint when these feelings are most prevalent in your day. Plan activities during this time to distract yourself. We idealise so much when we travel. Sometimes it causes us to put home on a pedestal, and we forget about the mundane difficulties of it. When this happens, our transition home is even more difficult, and we can feel unsatisfied, cynical and resentful towards the people we love because they don’t live up to our unrealistic expectations. Alternatively, you may idealise the culture you lived in so much that you forget to embrace living in the present – at home. When this occurs, we distance ourselves from our community; consistently try to return without putting down roots at home, and find our identity in an experience rather than ourselves. When these fantasies or ideals come up in your mind, identify them and squash them. Embrace your last season for all it offered you, and try to make peace with the fact your home is where you are currently meant to be. This can be a long process, and talking about it with a trusted friend and a counsellor can help you to navigate the difference between real and unrealistic expectations at home and abroad. Spending time with new people in a new place can dramatically shape our innermost values. Take the time to journal or write out what you truly value and want for your life now. This can be scary, as it will likely change how you interact with people, the activities you partake in, and sometimes how other people perceive you. However, it is important you are true to yourself. Identifying these changing (or unchanging) values is the first step towards this. When I returned home, I feet overwhelmed and anxious at the prospect of entering social situations. You may be unable to leave the house, or simply feel unsettled about seeing groups of friends or re entering community groups you were apart of. Ease yourself back into your community over time, and give yourself and the people you’re with some grace. Your experience in this community will be different from what it was before because you have changed. It is also useful to connect with people in your community who have had a similar experience to you. Find people nearby who have travelled to the same city, taken part in similar programs, or who visited you abroad, as they will better understand what you are experiencing. Lots of people feel ‘reverse homesick’ for the place they left behind. Now that you have returned home, your heart is pulled between two places. Stay in touch with the new friends you made while you were away. Schedule a regular time each week to chat with them, start a group text, and interact with them on social media. It can also be helpful to plan another trip to visit your friends, so start thinking ahead so you can see them again in the next few years. Are you experiencing reverse culture shock? Do you feel unsettled and displaced now you are home? Here’s what you need to do: Contact Colleen on 0434 337 245, Duncan on 0434 331 243 or Rachel on 0422 177 193 for a FREE 10 minute consultation on how we can best help you or book online now.